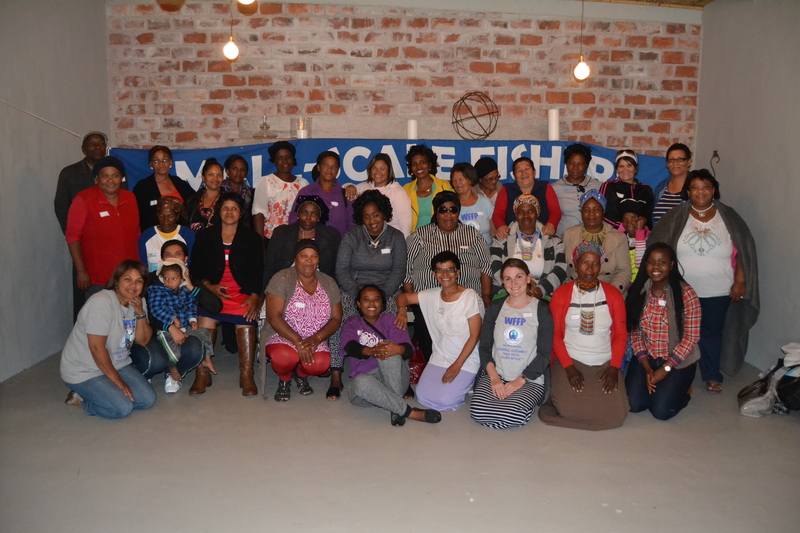 This world fisheries Day Masifundise Development Trust and Coastal Links embarked on a national gender workshop to brainstorm how ocean grabbing affects women in South Africa and how women can resist. 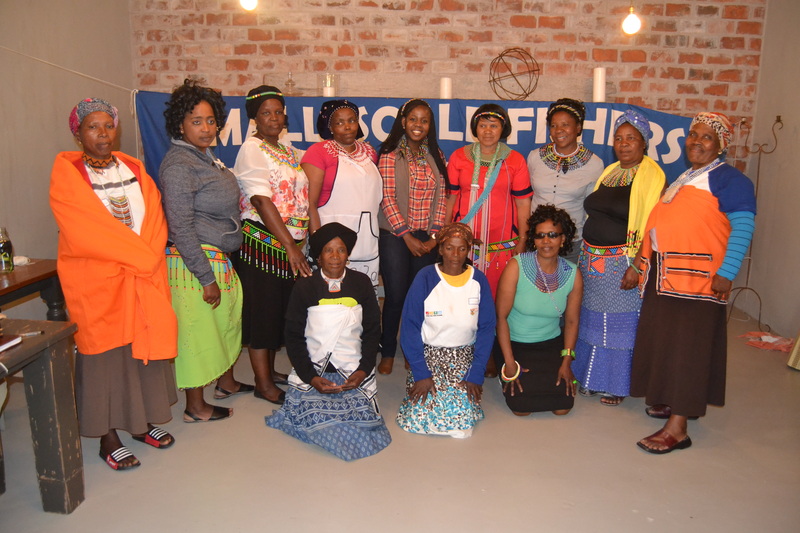 Women from all four coastal provinces in South Africa met in Patenoster on the West Coast of South Africa. 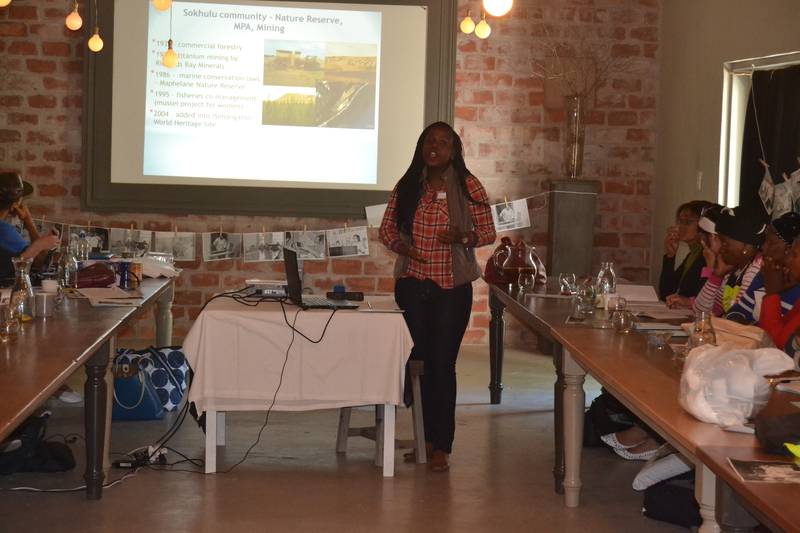 The workshop kicked off with presentations on ocean grabbing globallyand its impact on women, followed by a presentations on ocean grabbing in the South African context. 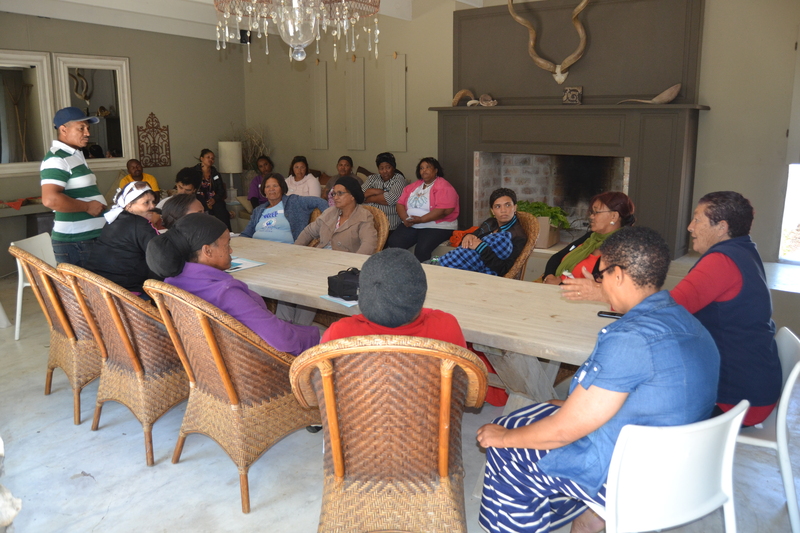 Afterwards women split up into groups to brainstorm how ocean grabbing affects their communities specifically and women in particular.In groups women also looked at possible solutions to ocean grabbing and how they can resist. 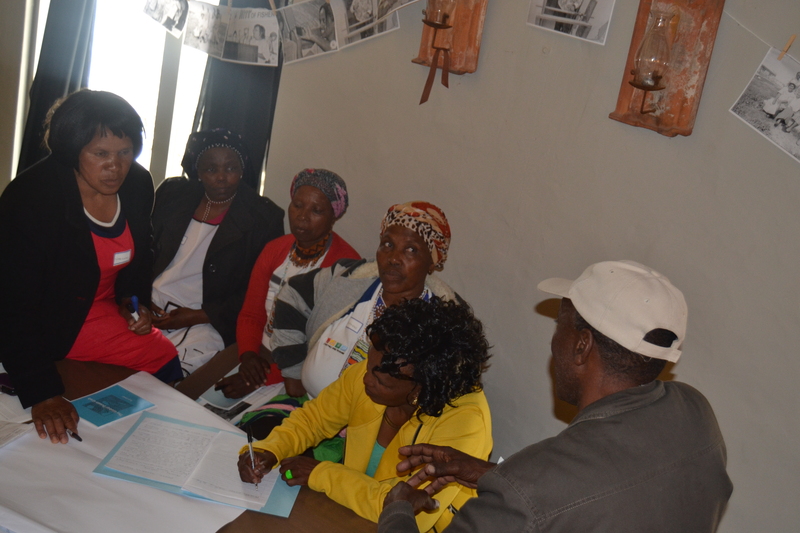 During the feedback sessions it emerged that women have a unique experience of ocean grabbing as they are primarily the care givers and providers of food in their households. 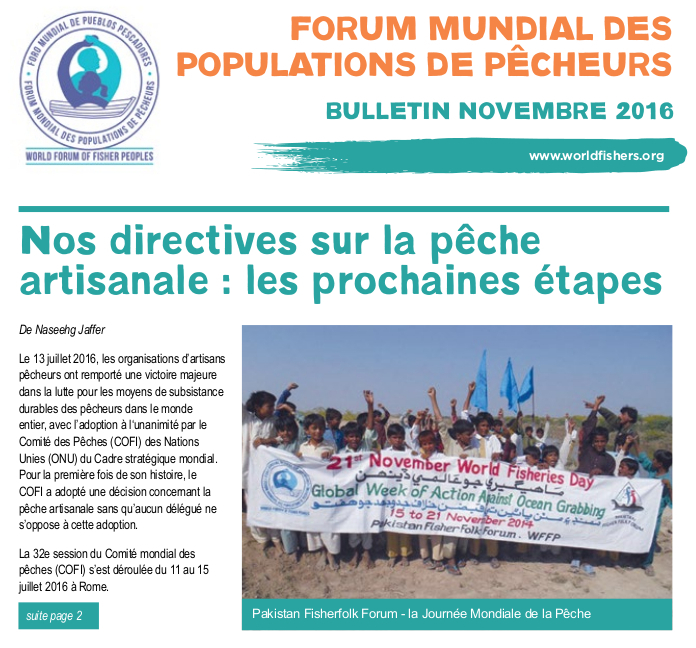 Without access to marine resources they lack food security. 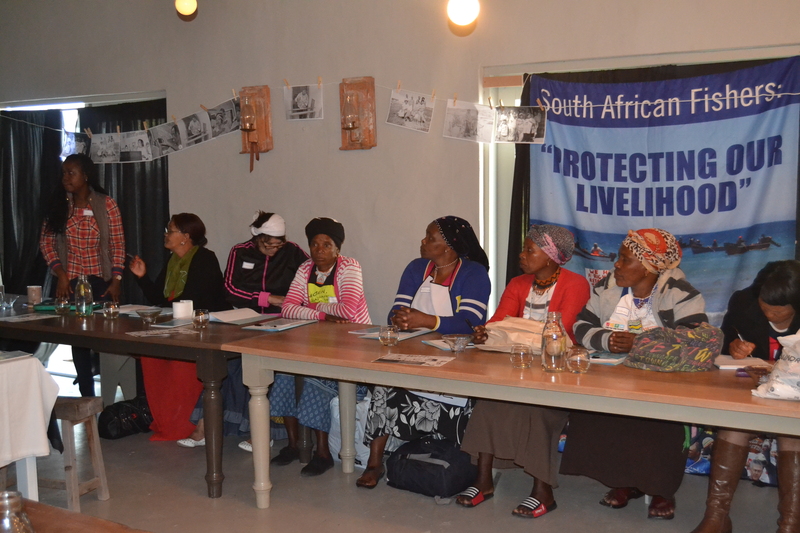 However women face another threat – the threat of patriarchy. 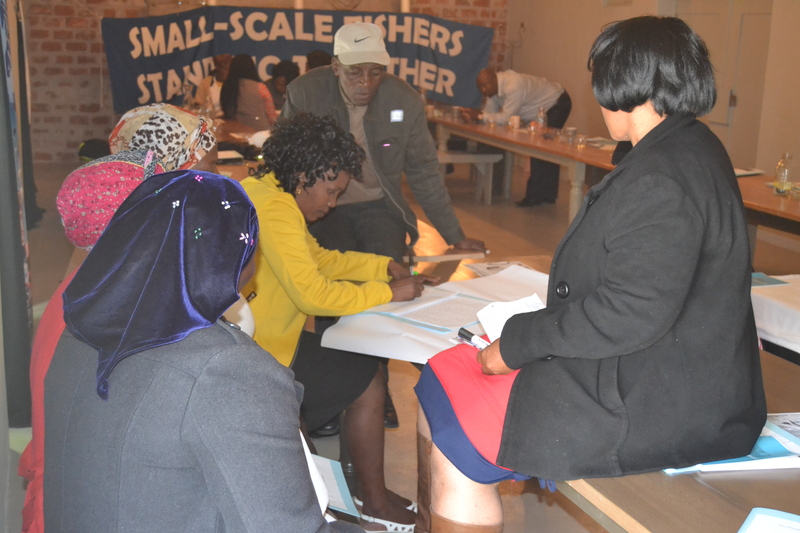 Many feel they have little decision making control in their communities do not have the platforms to speak.The feedback also raised the issues of how ocean grabbing disrupts family life. With fisher being moved far from the coast, fishermen have to spend nights away from home to go and fish causing them to be distant from their families. 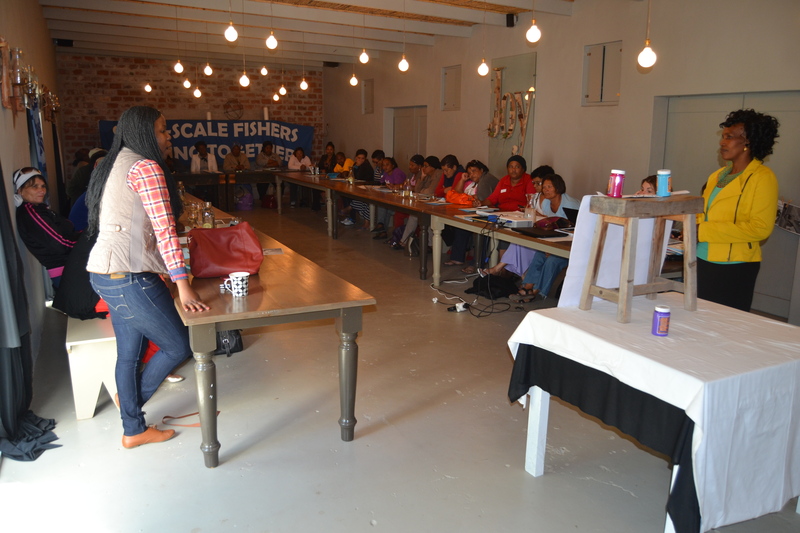 The second phase of the workshop involved the introduction of the concept of ‘Ocean Gardens’ and the importance of strengthening women’s traditional fish products and food. An important part of the value chain are women’s traditional fish products which, if strengthened and celebrated can be an important source of livelihood and food security for fisher communities nation wide. 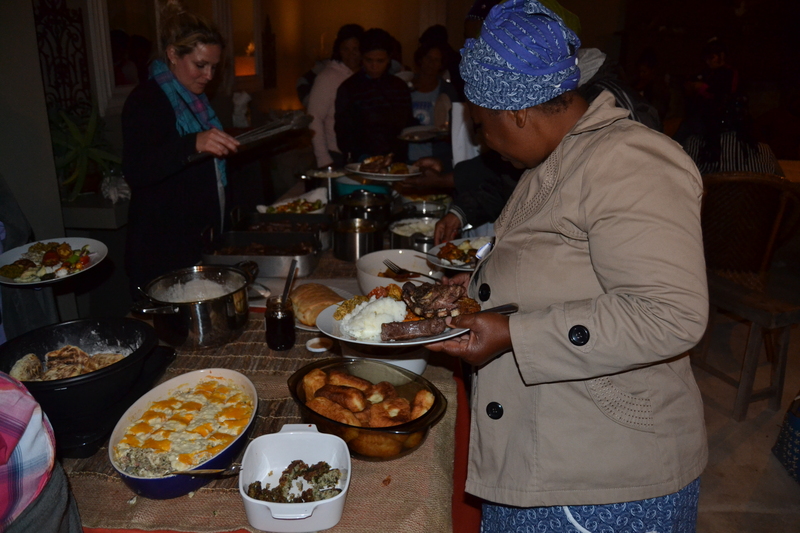 To celebrate this concept the workshop ended with a food tasting where each women prepared a small traditional sea food meal, local to their region. Once prepared everyone got an opportunity to taste and learn the recipe. 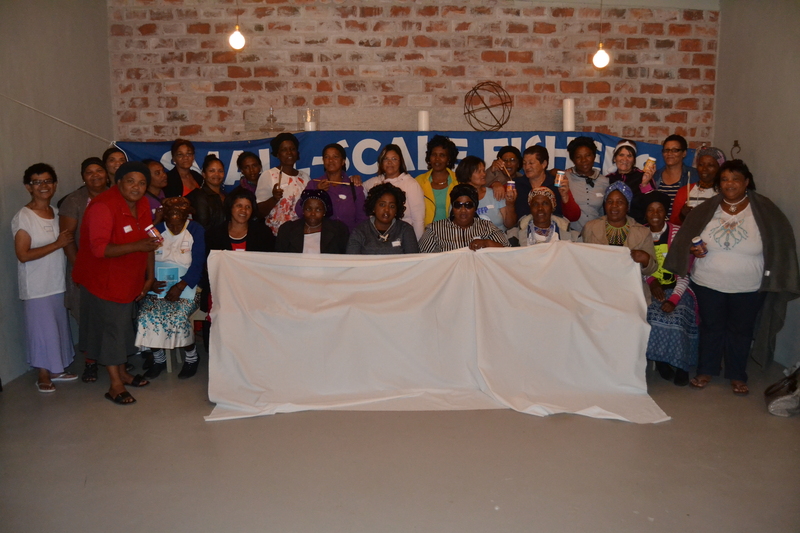 Finally the workshop ended in Langebaan, a small down on the West Coast where Coastal Links South Africa was founded for the WFFP 6th General Assembly tree planting ceremony. 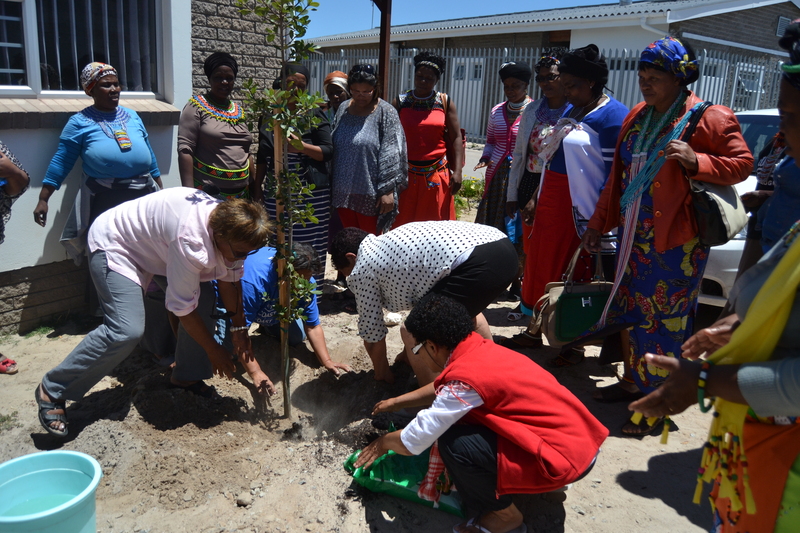 It is tradition within the WFFP that whoever hosts the general assembly should plant a tree in celebration. 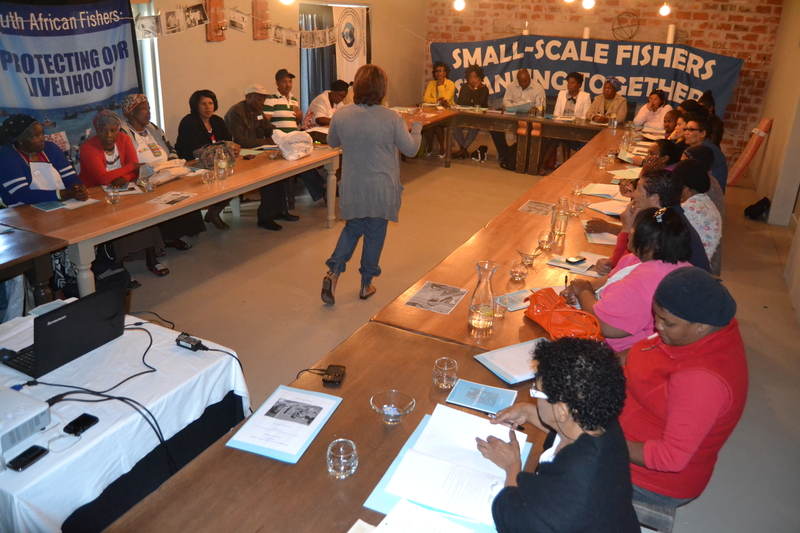 “Two months ago we South Africa hosted the WFFP, where we had fishers from close to 40 countries all over the world. On this day in 1997 the WFFP was formed. 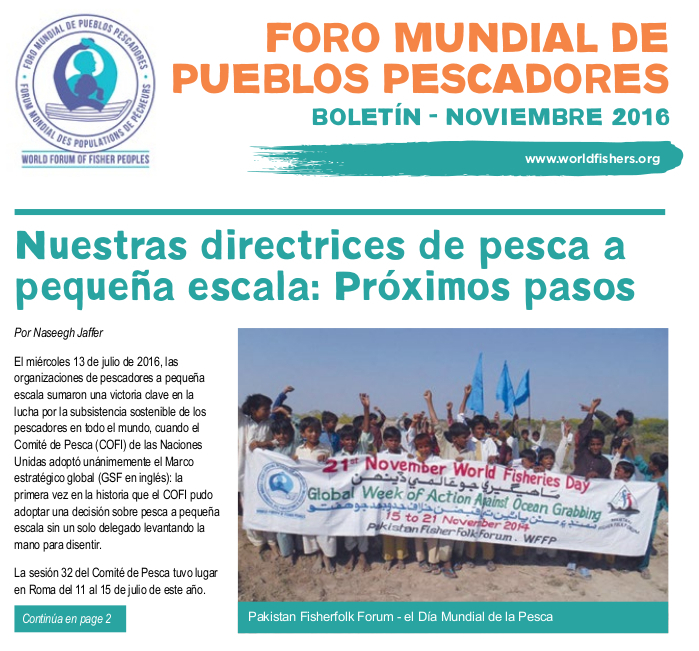 It was the first time in the world that global fishers were represented. 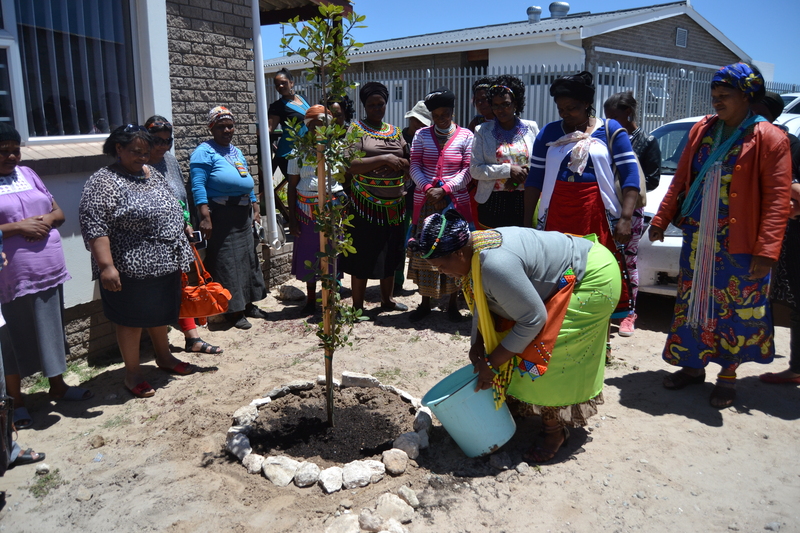 By planting this tree today, we give symbolism to the growth of the WFFP but we also give symbolism to the growth of ourselves as small scale fishing communities who will, from now onward, benefit from the small scale policy as the policy is implemented. 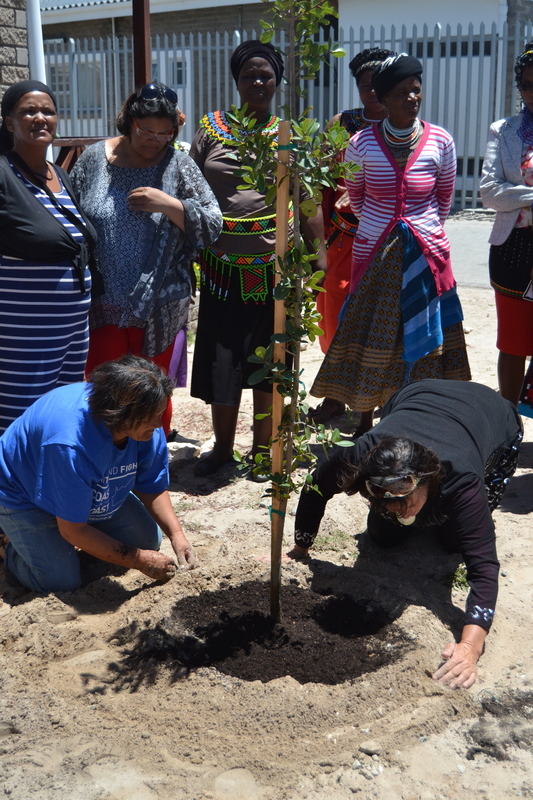 We want to dedicate the planting of this tree to the idea that we planted in this workshop and that idea was to create food fishery gardens. It is a new idea that we are giving birth to here. 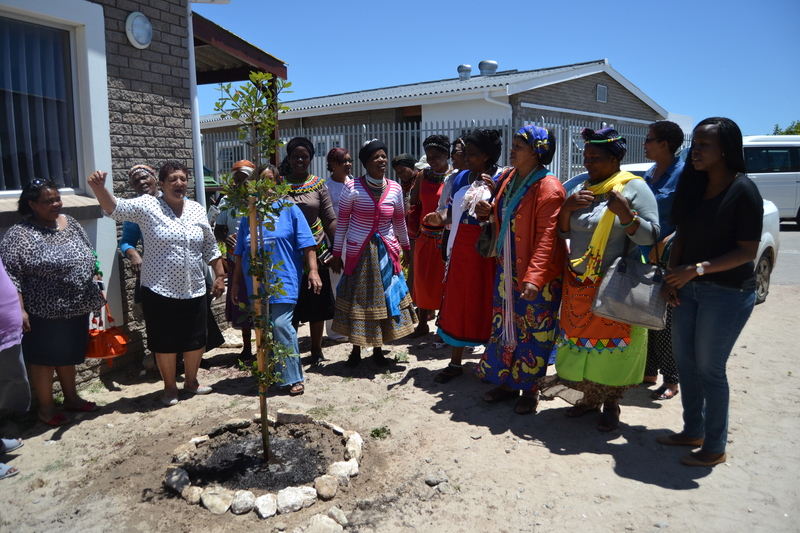 And with the planting of this tree we are saying we want that idea to grow. 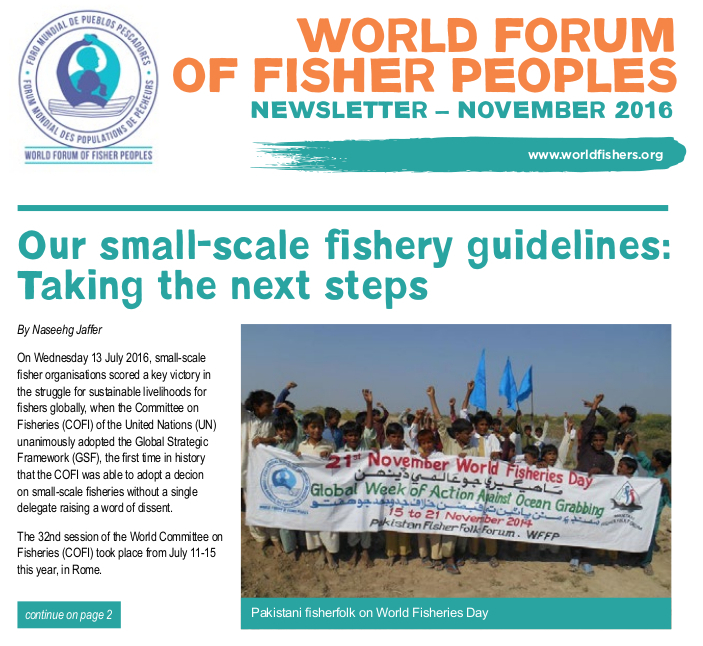 This idea stems from the belief that we must harvest fish on a small scale basis to provide food. We are committing ourselves to nurture this tree in the same way that the policy is being implemented to provide food. 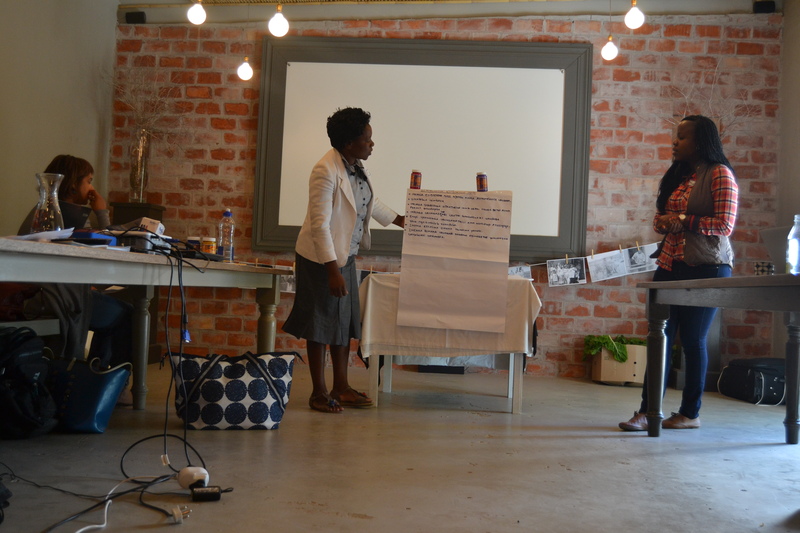 Growing this idea of ocean gardening, and strengthening this aspect of the value chain will add additional income and additional opportunities for women to benefit from the small scale fishing policy. 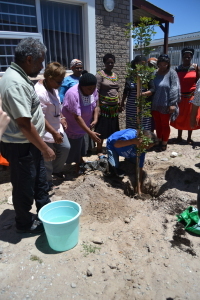 This is the idea that we dedicate to the growth of this tree that we are planting here today. This is our dedication. 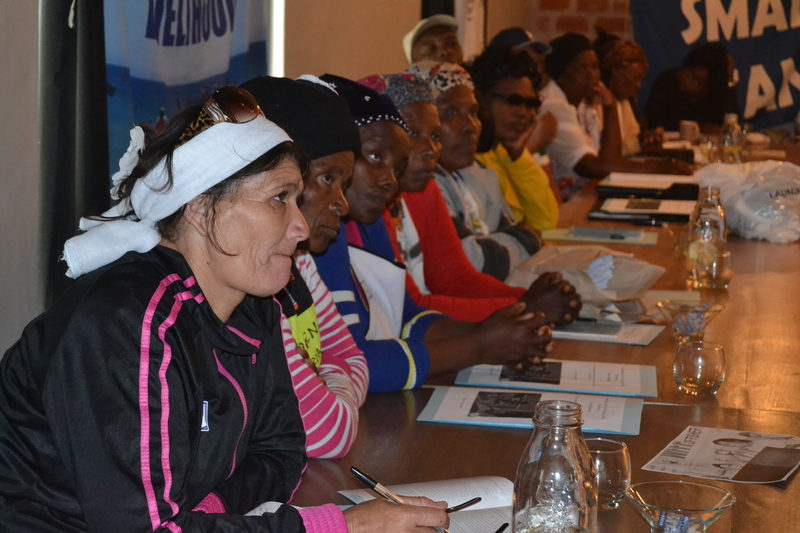 We, the women of Kwa-Zulu Natal need access to mussels to feed our families and make some money. 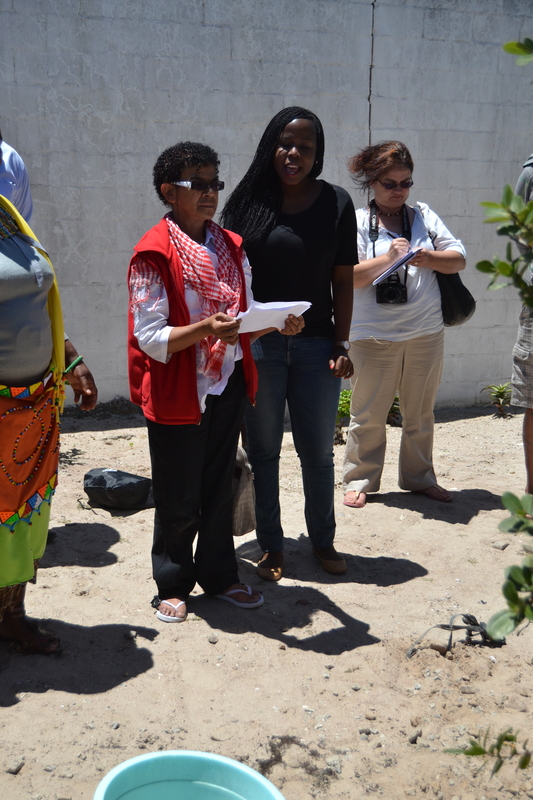 We need business skills and access to markets If there is a Marine Protected Area on our coastline, we want to benefit. 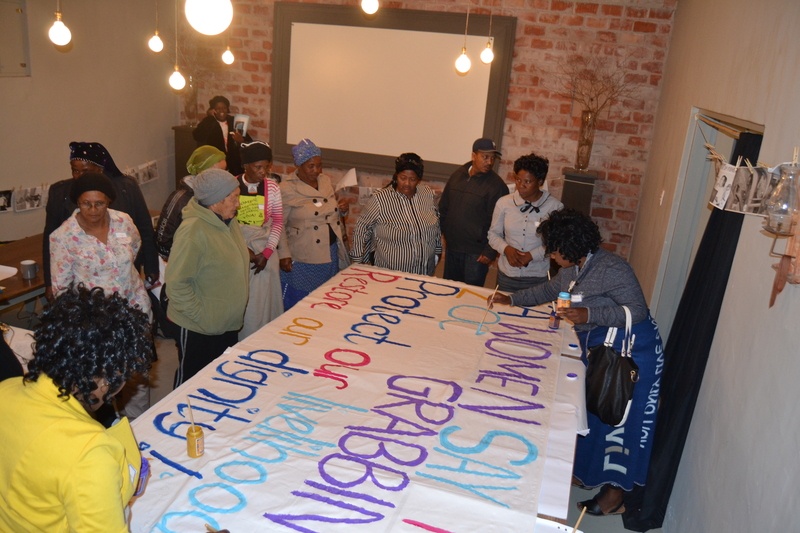 We women want to regulate our own resources.We the women of Kwa-Zulu Natal face a double oppression: oppression from ocean grabbing and oppression from patriarchy.We need this to change.We need platforms to be heard. 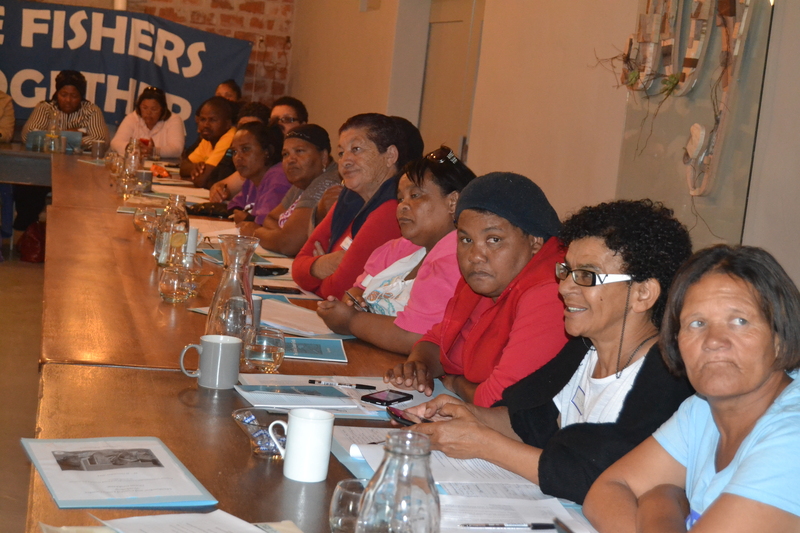 We the women of Eastern Cape want control over our resources. 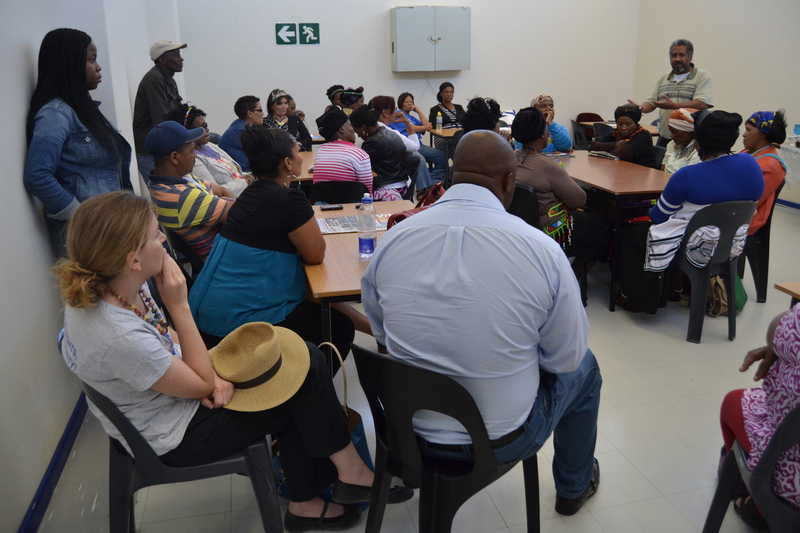 Our traditional healers need access and control over resources. We want co-management with authorities.Profits from tourism should be made by us. 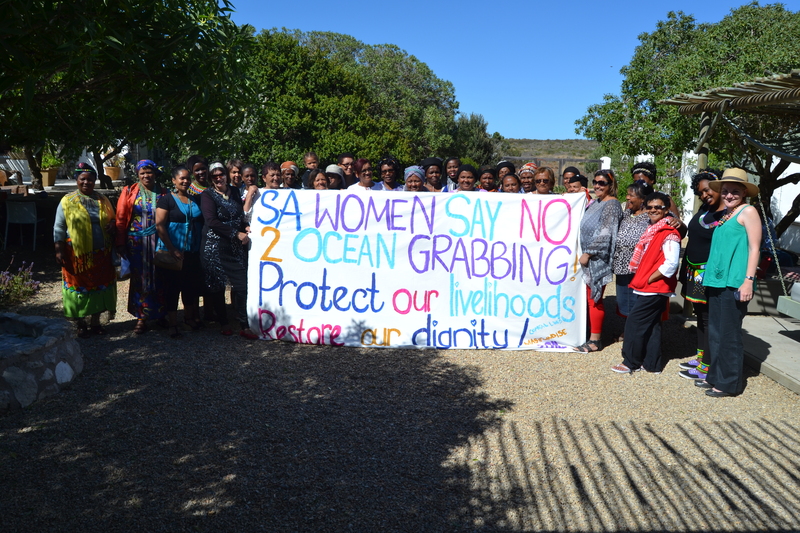 We the women of the Western Cape and Northern say NO to Marine Protected Areas without consultation processes.Ocean grabbing breaks down our families. Our men have to travel far to the coast keeping them apart from their children and their wives. 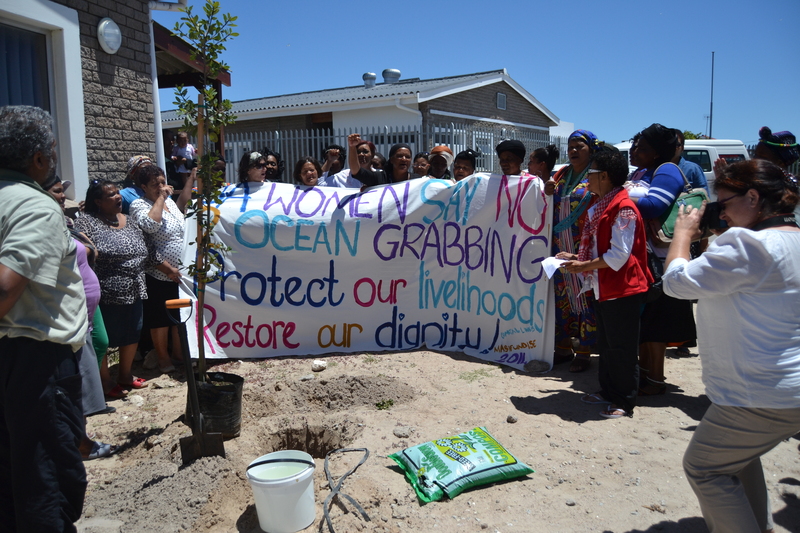 We women reject mining on our coastal lands. We do not want weapon testing in our waters. Ocean grabbing projects us as criminals in our own ocean and along our own coastline. We need to be informed about the policies that govern our seas. We need to be equipped to deal with ocean grabbing. 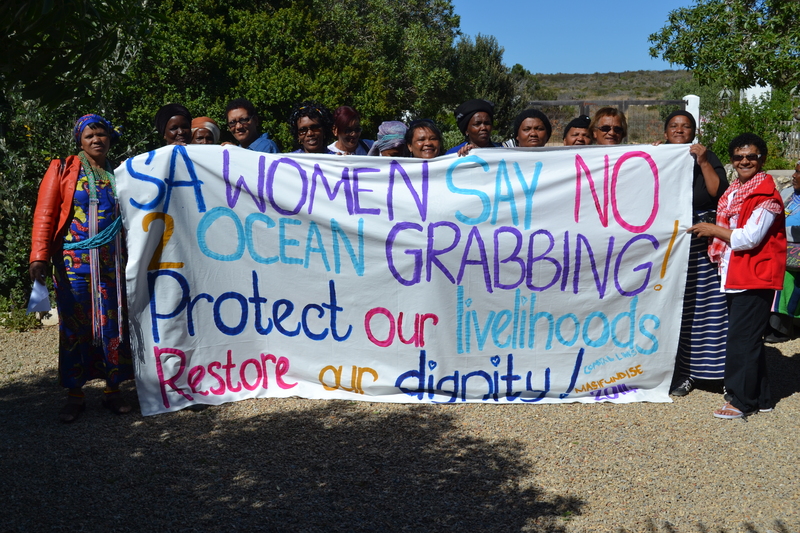 WE THE WOMEN OF SOUTH AFRICA SAY NO TO OCEAN GRABBING. PROTECT OUR LIVELIHOODS. RESTORE OUR DIGNITY.